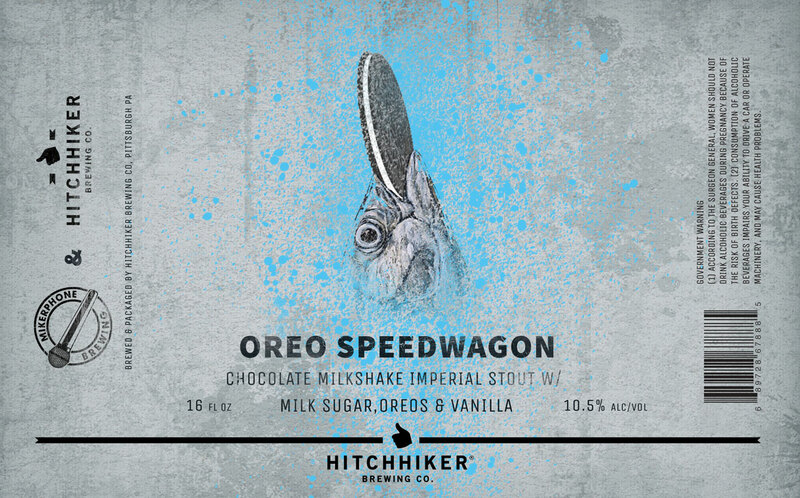 Oreo Speedwagon | Hitchhiker Brewing Co. In Collaboration with Mikerphone brewing. Brewed with Oats and Milk Sugar. Conditioned on Oreos.